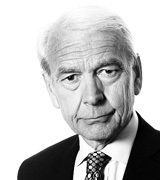 John Humphrys - rail fares: a justifiable rise or a rip-off? January 03, 2018, 9:40 a.m. It has become almost as traditional as a Christmas tree, mince pies and cold swims on New Year’s Day: the annual rise in rail fares. It is now the habitual way to end the holiday season and greet the new year of commuting and it’s always greeted with outrage. This year, perhaps, more than most. It is the highest rise for five years. Are commuters being taken for a ride or are the increases a necessary means of modernising the railways? The protests that sprang up all round the country this week at the rising cost of rail tickets were not the reaction to a sudden shock. We’ve known for some time that these above-average fare rises were coming down the track. That’s because regulated fares, which control around 40% of all rail journeys and include most season tickets, are calculated in relation to the rate of inflation as measured by the Retail Price Index the previous July. So back last summer we learned that fares would rise on average by 3.4% and that season tickets would go up on average by 3.6%. In the context of most people’s incomes barely rising (if at all), these increases take a hefty chunk out of commuters’ wages. Analysis by the Labour Party suggests that the average season tickets now costs £2,888 a year, a rise of £700 since 2010. For some rail commuters that amounts to as much as 13% of their incomes. And in comparison with similar commuters in Europe that is huge. Research by the TUC shows that equivalent rail commuters in France spend only 2.45% of their salaries on getting to work; in Germany, only 4.2%. The reason for the difference is not that continental railways are cheaper to run. Rather, it’s because more of the cost of running them is borne by taxpayers rather than by the passengers themselves. Since 2007 British governments of all parties have sought to shift the burden of paying for the rail network from the taxpayer to the commuter. Back then, that burden was shared pretty much fifty-fifty; now ticket sales account for 70% of the costs. In the last financial year, direct government funding of the railways stood at £4.2bn, a fall of 44% in ten years. The issue behind the protests is whether this shift has gone too far. Few people argue that there should be no taxpayer subsidy of the railways. That’s because most people acknowledge that there is a public benefit aspect to them: trains get people off the roads, provide a more energy-efficient form of transport and supply a means of travel to those who can’t afford to run a car. But equally, taxpayer-subsidy is bound to be controversial if for no other reason than the fact that not every taxpayer uses trains - which means those who don’t are subsidising those who do. And the former are not always richer than the latter. In fact usually it’s the other way round since the heaviest use of trains is in the relatively rich south-east by people commuting into London. For those who support the shift of the balance from taxpayer to commuter, this is the principle case they argue: it’s the people who actually use the trains who should pay the bulk of the cost of running them. What’s more, they argue, the remorseless increase in fares over the last ten years has not had the effect of discouraging people from taking the train: on the contrary, passenger numbers have soared. And their clinching argument is that the increase in fares has helped finance a massive investment programme which simply did not happen when the taxpayer was footing more of the bill. That’s for the simple reason that governments were reluctant to raise taxes to pay for it. In short, they say, the shift in the burden from taxpayer to passenger is what has made possible an investment programme that is in the process of transforming our railways. But these arguments don’t wash with everyone, and particularly those commuters having to fork out huge chunks of their incomes simply for the privilege of going to work. They point to the conditions under which they are daily forced to travel and they ask: what investment? Many of them are still forced to stand for some or all of their journeys. That’s if they travel at all. Many have suffered massive disruption over months and months as a dispute between the rail operators and the unions over the future of guards on the trains has remained unresolved. Nor are many of them persuaded that the fares they are forced to pay are being used to finance even a delayed investment programme. They point instead to the generous pay deals being struck by the bosses of the rail operating companies and claim their own wallets are being squeezed merely to fund grotesque bonuses for the fat cats. Martin Griffiths, the head of Stagecoach (which part-runs the Virgin services on the east and west coast mainlines), is expected to earn up to £2.5m this year. To some, facts such as these are sufficient to justify the call for the wholesale renationalisation of the railways, as now advocated by the Labour Party. Whether the money is coming from the taxpayer or the commuter, the argument goes, it can’t be right that any of it is being siphoned off by the senior management of the private rail companies and by their shareholders. Take the need to earn profit out of the equation, they say, and there will be more left for genuine investment and for saving both the taxpayer and the passenger from being ripped off. The other side argues that the present system may not be perfect but renationalisation would be a disaster. They say the part of the rail system that is already in public hands, Network Rail (which is in charge of the tracks and the rail infrastructure the private rail companies pay a fee to use), is the most inefficient and expensive part of the system and so is no model for how the whole system should be run. And they add that if the Treasury once again directly controlled investment spending on the railways it would be vulnerable to cuts every time a chancellor faced a fiscal crisis. The arguments for and against renationalisation can be put on hold at least until nearer the next general election because the current government has no intention of proposing it. But for the next four years (assuming the Tories stay in power), the annual issue of how much to put up rail fares, and what the balance should be between taxpayer-funding and commuter-funding will continue to be a controversial political issue. What’s your view? Do you think this week’s fare rises are justified? And do you think the government should continue to shift the burden from the taxpayer to the commuter, should hold it where it is, or give commuters a break by asking the taxpayer to cough up more?